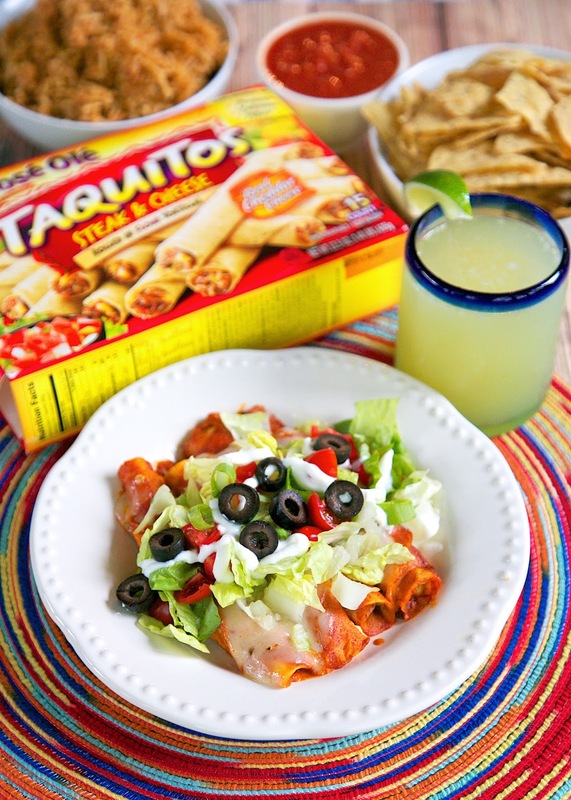 Taquito-lada Casserole Recipe - use frozen Jose Ole taquitos for a quick Mexican taquito enchilada casserole. Only three ingredients! 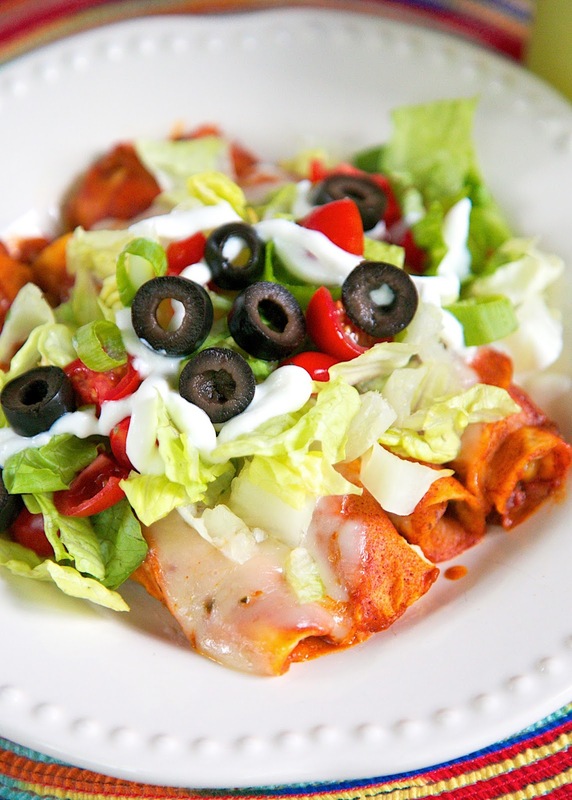 Top with lettuce, tomatoes, olives, green onions and sour cream. Cinco de Mayo is next week. One of my favorite "holidays"! We always celebrate with a fiesta! This year we are having a few people over for a Cinco de Mayo party instead of going out. I am making this delicious Taquito-lada Casserole. 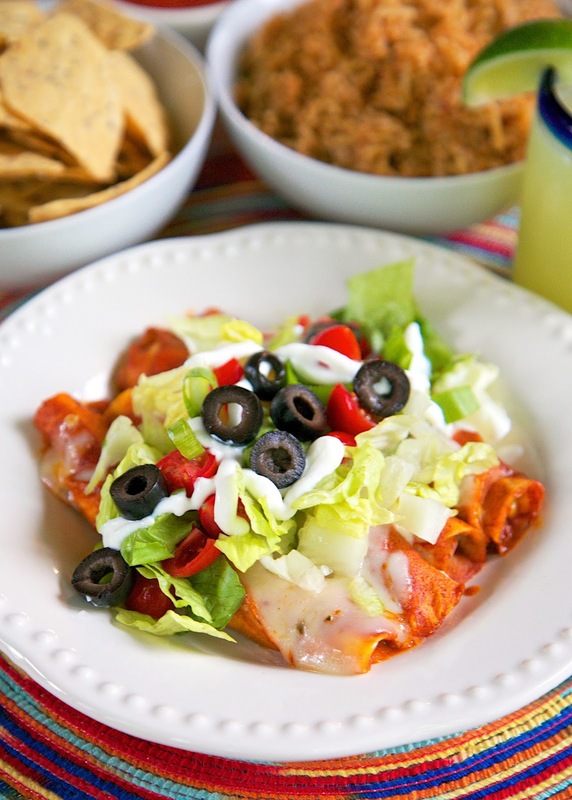 It is a quick and easy taquito enchilada casserole. 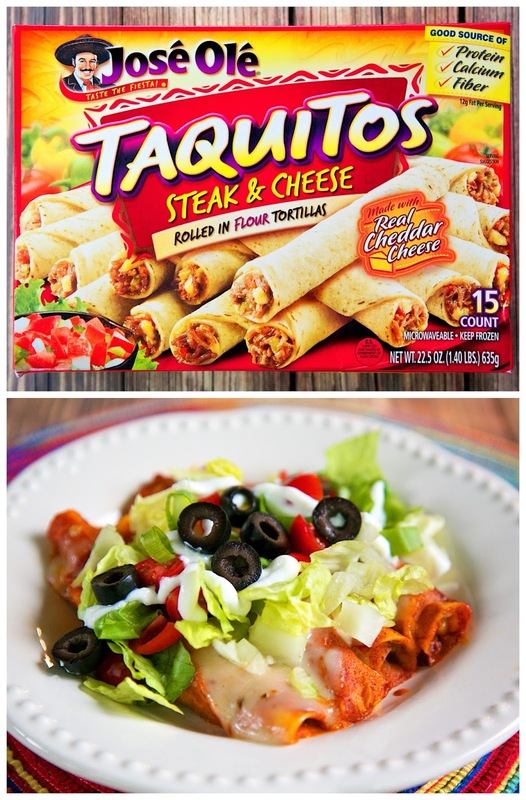 I used these yummy frozen José Olé Steak and Cheese Taquitos as the base of the casserole. 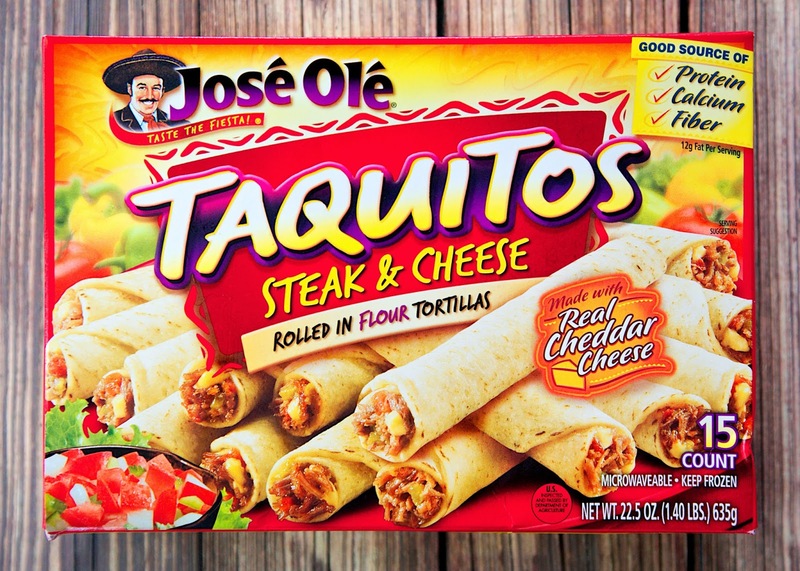 I fell in love with the José Olé Steak and Cheese Taquitos at our Super Bowl party. We served a variety of José Olé snacks and made a yummy Spicy Chipotle Ranch dipping sauce. I stuffed myself silly with them. They were SO good! I chose the Steak and Cheese Taquitos because I think they are super delicious, but any of the varieties will work in this recipe. This casserole couldn't be any easier. Just bake the taquitos covered in enchilada sauce and top with cheese. We topped the Taquito-ladas with some lettuce, tomatoes, green onions, olives and sour cream. To round out the celebration we served the Taquito-ladas with some margaritas, taco rice, chips and salsa. It was a fun and easy fiesta! Be sure to check out all of José Olé's snacks on their website (http://goo.gl/d3Nh7X). They are all a great way to feed a crowd. They are really filling, packed with protein and so convenient! They are the perfect snack to flavor your fiesta next Tuesday! Preheat oven to 425 degrees. Lightly spray a 9x13-inch pan with cooking spray. Place frozen taquitos in a single layer in prepared pan. Top with enchilada sauce. Bake for 20 minutes. Remove from oven and top with shredded cheese. Bake for an additional 5 minutes, until cheese is melted. Top with lettuce, tomatoes, green onions, olives and sour cream, if desired.